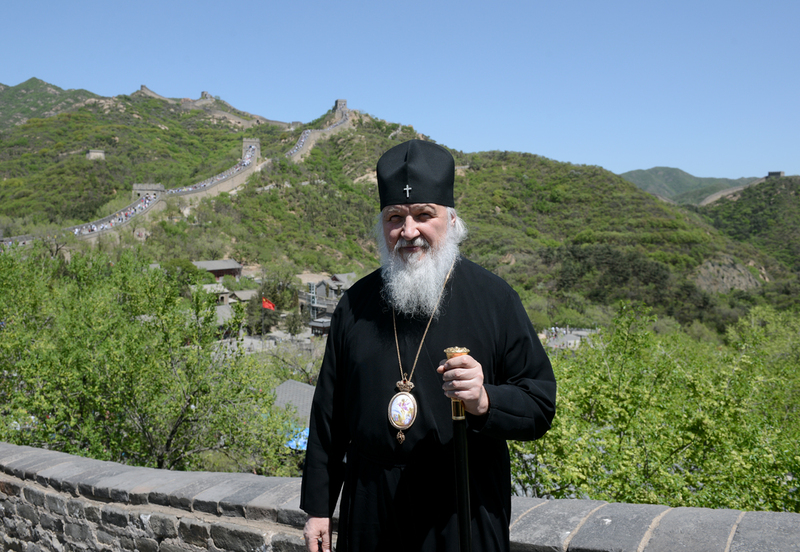 The construction of the Great Wall of China and the development of Siberia testify to the strong will of the two great nations, which should act together for a better future of the world, Patriarch Kirill of Moscow and All Russia said. He took a tour to the Great Wall of China on Saturday, May 11, during his first visit to China. “We can understand what the Chinese nation is like, what its traditions and commitments are,” the patriarch stressed. He compared the construction of the Great Wall of China with the development of Siberia by the Russian people. “Russia has also seen a manifestation of the strong will of our people in the wars we fought and especially in the development of Siberia which required tremendous efforts and which overwhelmed and still continues to overwhelm many people,” Kirill said. “Here in the Far East the two strong countries and two strong nations come in contact with each other. And by multiplying and combining our efforts we should work together for a better future of our peoples and the whole world,” he said. The Great Wall, one of the greatest wonders of the world, was listed as a World Heritage by UNESCO in 1987. Built over a period from the 3rd century to the 17th century, it stretches for approximately 8,851.8 kilometres (5,500 miles) from east to west of China. Patriarch Kirill also toured the Forbidden City. On the first day of the visit, he met with Chinese President Xi Jinping. In the remaining four days, the patriarch is planning to meet with Orthodox believers in Beijing, Harbin and Shanghai.